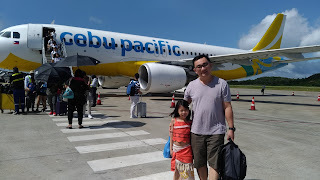 This is the season of giving so this is an opportune time to help less fortunate girls and make their dreams come true through Etude House x Save The Children: School Me Campaign. It aims to grant every girl's ultimate pink wish- their EDUCATION. This campaign will provide resources and better educational environment for African girls from Siera Leone, Liberia, the Republic of Cote d'lvite, and Uganda who cannot afford education with domestic duties, early marriage and poverty. By purchasing any one item from Etude House's Pink Wish Tree line, you can make life better for these girls, one peso at a time. 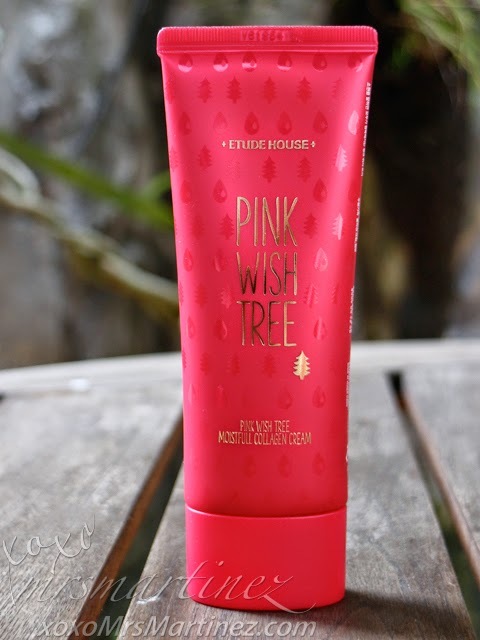 Pink Wish Tree line is Etude House's Limited Edition Christmas collection which reintroduces top selling products in cute Christmas-tree themed packaging. For every purchase of any Pink Wish product, PhP 4.18 (100KRW) will proceed to Save the Children for the benefit of African girls' education. Upon purchase, you will receive a Pink Wish Card as a gift. You can choose to keep it or donate another PhP 4.18 using the card for the beneficiaries. Pink Wish Tree Moistful Collagen Cream Jumbo is formulated with Baobab Leaf Mucus and 30% of Hydrolyzed Marine Collagen. This refreshing yet concentrated moisturizer helps hydrates and achieve youthful skin. Apply this product after cleansing and toning. Gently tap for better absorption. Moisture Collagen Skin Care line includes Moistful Super Collagen Ampule Essence, Moistful Collagen Freshener, Moistful Collagen Emulsion, Moistful Super Collagen Eye Concentrate and Moistful Collagen Cream. 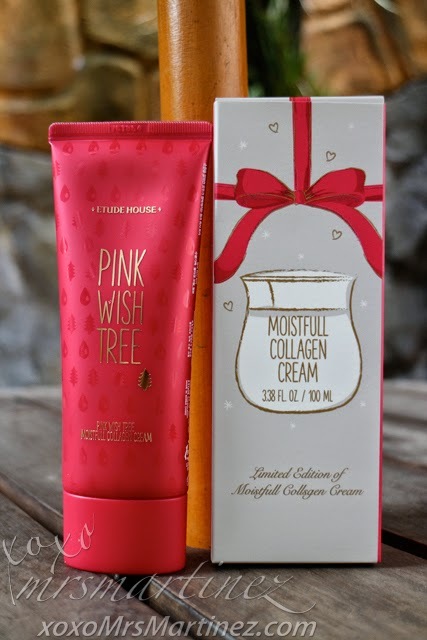 The Pink Wish Tree Hand Bouquet Mini Set includes Rich Butter and Rich Collagen tubes. Rich Butter has the combination of Shea butter and Brazil nut oil that leaves you with a soft, milky skin with a scent of fresh flowers on your hands while Rich Butter is infused with rich collagen essence, Shea butter and mango seed butter to nourish tired skin. It deeply penetrates through rough and dry hands and minimizes wrinkle appearance. 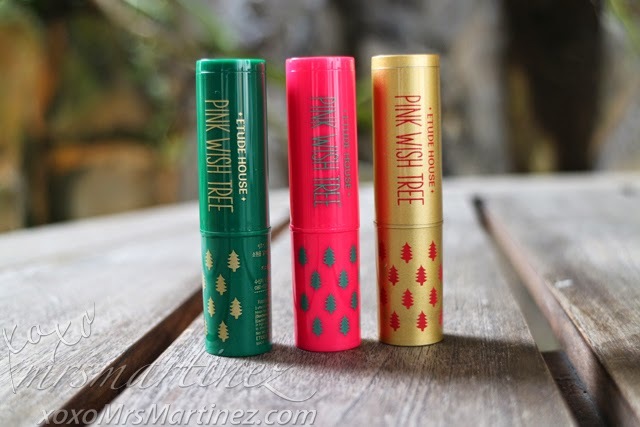 Say good bye to chapped lips this holiday season with Pink Wish Tree Kissfull Lip Care Box. 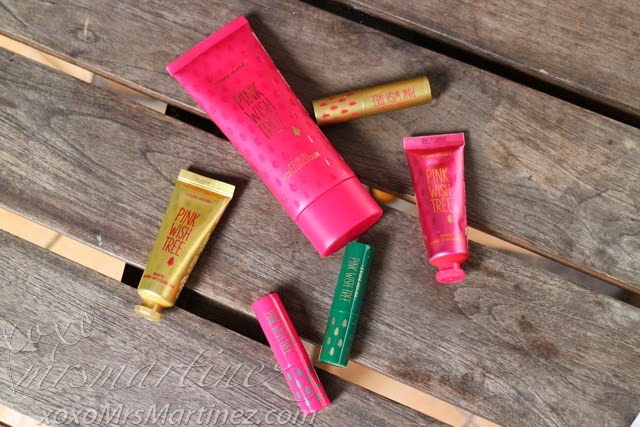 Each lip product contains collagen, mango butter, chamomile extract, ceramide, and macadamia nut oil which offers nutrition to create healthy, full volume lips.